The sparkling white altar linens are the work of a small set of dedicated volunteers, working on a rotating weekly schedule. Once a week, they pick up the linens used in the masses, clean and press them, and return them to the church. If you are interested in helping with this ministry, please contact Rose Volker the parish office. Each year, usually just before Lent, the Social Ministry Committee sponsors a bake sale to benefit a local charity. In 2018, the approximately $2000 raised by the bake sale went to REACH (Rochester Emergency Action Committee for Homeless). REACH has established shelters to assist the chronically homeless. Even though faced with high demand, Director Mary Hadley says, “We will not send anyone away.” The staff consists of six professionals and all guests receive intake services to help with their many issues. Look here in early 2019 for information on the 2019 Bake Sale. Bake Sale Coordinators: Judy Herlihy 261-5981 judithherlihy22@msn.com, Connie Wahl 582-1753 cwahl002@rochester.rr.com, Nancy Wahl 248-3056 newahl@gmail.com. The Christmas Basket Program provides food and small gifts to families in need in Rochester through the House of Mercy (a homeless shelter for men and family outreach center), Jordan Health Center, St. Vincent de Paul, Pittsford, Fairport and other local communities. This program links our parish community with others living in poverty and assists us to see the struggles of the poor, oppressed and marginalized locally. Parishioners have generously responded by sponsoring families in providing both food and small gifts for family members. If you wish to become a sponsor or would like to offer your time and talent in assisting with the program, please contact Margie Benza at the parish office at 248-2427 x244 or by e-mail using the Contact Us feature of this website. Once again, in 2018 we served close to 200 families, thanks to the many parishioners (and non-parishioners!) who assisted in the program. To view Margie's thank you note, , please click HERE. The Giving Tree event is an annual holiday program developed and coordinated jointly by the Offices of Christian Formation, Peace and Justice, and Volunteer Ministries. The Giving Tree itself is no more than a Christmas tree placed in the Gathering Hall of the Church, but the spirituality of the program is what makes it shine. Upon the tree are placed White Dove “ornaments” with a specific need of a gift for the holiday season placed upon it. Parishioners then can take a dove (or several doves!) and purchase the gift listed. The gifts are wrapped and placed anonymously under the Giving Tree for presentation. Gifts range from gloves and mitten to toys to small electronics for children ages infant through teens. All parishioners are invited to place a need—for example for a financially challenged family—with the Office of Christian Formation. Our Fifth Grade classes then make the “ornaments” as their service project. The Office of Peace and Justice also coordinate needs. Wonderful volunteers then sort and prepare the gifts for distribution. The Giving Tree event begins immediately following the Thanksgiving holiday and culminates at the Christmas season. Each year we help over a dozen agencies with over 300 gifts for those less fortunate than ourselves. Your generosity helps many local agencies such as: Jordan Health Center, Casa, Bethany House, St. Joseph’s Villa, St. Martin’s Place, The Center for Youth and many more! Our parish has always been a place of hospitality, welcome, openness, and gift. Won’t you please continue this wonderful tradition? If you have any questions or would like to include a need for the tree, please contact the Christian Formation Office at: 248-2467 or Sam Crawshaw at scrawsha@rochester.rr.com. Twice a year the members of The Church of the Transfiguration are asked to donate clothing and household items to support struggling individuals and families in the Rochester Area. These projects had provided needed goods for many individuals. Responding to the call of the Gospel and Catholic Social Teaching (expressed in the Option for the Poor and Vulnerable) to share resources with those who are struggling to meet daily clothing and household needs Contact Jan Maguire at 248-2286 if you would like to assist with this ministry. Please consider assisting with our funeral receptions by offering baked goods. Cookies, cakes, brownies and various sweet breads are a welcomed and wonderful way to reach out to others when you may not be able to assist directly with the funeral reception. If you are interested, please contact Margie Benza at the parish office at 248-2427. It is in the kind, helpful hands of others that bring comfort to grieving families during a difficult time. It is a priceless gift of hospitality from our community as we extend the hands of Christ to others. Offer your helping hands and comfort to families who wish to sit with family and friends in sharing a meal and memories of their loved one. Responsibilities would include assisting the coordinator and other ministers with set-up, serving and clean-up. Please contact Margie Benza at 248-2427 with interest. Parishioners are available to assist another parishioner in need of a ride to a doctor, a trip to the grocery store, or prescription pick up. 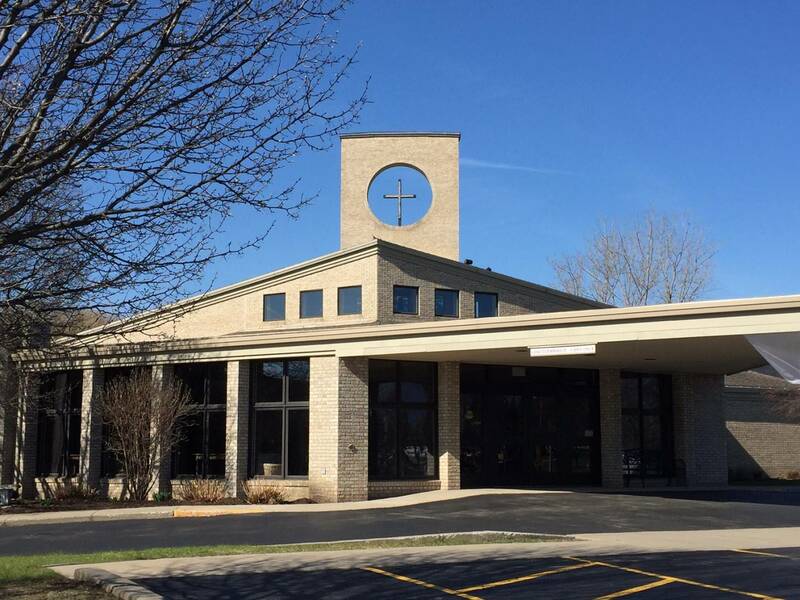 Please contact Margie Benza at the parish office 248-2427. If you enjoy caring for plants, we would appreciate your assistance in keeping our parish plants well watered and cared for periodically. Please contact Rose Volker at the parish office to join the crew! Periodically we need assistance in changing the light bulbs in the church. If you don’t mind heights and can offer 2-3hrs a few times a year, we’d appreciate your helping hands. Please contact our coordinator, Kevin Reilly (585-500-5489) or kevinreilly13@gmail.com to volunteer. This project, a program of the Catholic Family Center, espouses a "welfare-to-work" philosophy as it teaches women to successfully plan and run a business. The women create, distribute and market soup kits to warm you through the winter months. Help is needed in working with the coordinator to sell soup kits at our annual sale in October. Contact Bernadette Malaret 385-2950 if you are interested. Volunteer your time decorating our church for the liturgical season. 9 seasons are scheduled throughout the year and we could use your time and talent in bringing the season to life with simple but beautiful decorating. Please contact Rose Volker 248-2427. Our church is kept beautiful by the hard work and effort of our cleaning ministry.Volunteers are needed to help with house keeping duties to maintain the beautiful appearance of our church. The commitment, depending on the number of volunteers, is 1 ½ - 2 hours every 4-6 weeks on a Monday morning . It’s an important ministry within the parish, a great way to meet other parishioners and has its own personal rewards. Please consider donating a few hours a month? If interested, please call Gael Garrity at 381-9179. Each month we take up a food collection, accepting donations at each mass, with the collection going to a designated agency. Collection dates and the specific agency being supported that month are published in the bulletin. If you have any questions, please contact Joe Marchiony at joemarchiony@yahoo.com. Volunteers meet every few months to catalog new materials and perform routine maintenance tasks Contact Jan Maguire at 244-2286 or maguire@rochester.rr.com if you are interested. Do you enjoy organizing small receptions? Volunteers are needed to help organize and run small receptions in our Gathering Area after events a few times a year. Please contact Margie Benza @ 248-2427 to offer your time. Our school supply drive is held in August to collect school supplies for Mt. Carmel, the Eastern Service Workers and the House of Mercy. Help is needed to organize the drive, and to pack/deliver the supplies in mid-late August. Contact Judy Herlihy 261-5981 judithherlihy22@msn.com if you are interested. Every year, Transfiguration parishioners participate in the donation of whole frozen and roasted turkeys in order to provide Thanksgiving dinner for families and individuals in need. Teen and adult volunteers, if you are interested in assisting, please contact Kathy Kyhos - kkhyhos@frontiernet.net or 752-7389 or Denise Nunziato - ldnunz50@gmail.com. We especially welcome our teen volunteers,who help receive and pack up the donations. Through your generosity, our Turkey Drive offered 126 frozen and 36 roasted turkeys with additional dinner items (stuffing, gravy, cranberry sauce, vegetables, roasting pans, etc) to various agencies in the city of Rochester. Most importantly, it provided time for many who may have had no place to go to enjoy a hot meal and community on Thanksgiving Day. Our thanks to so many who participated from the donation of frozen turkeys, the gift of roasting them, great donations of trimmings, volunteers which included the CYO basketball program, confirmation candidates and those making it possible for delivery. All lending their hands to help others. A special thanks to Denise Nunziato, Kathy Kyhos and Judy Herlihy who helped organize and coordinate the drive. This is a joint charitable knitting/crocheting group with the Church of the Transfiguration and St. Louis Church. We make items for local and international agencies serving those in need. No prior skills are needed. We have needles, yarn and patterns to share. There is no pressure; come when you can, donate when you can. We meet the second and fourth Thursdays of the month from 1-3PM, and the third Thursday of the month from 6-8PM with one yearly weekend event. If you are interested, contact Kathleen McMahon (kmcmahon@rochester.rr.com) or Rosemary Utz (djones6703@aol.com).